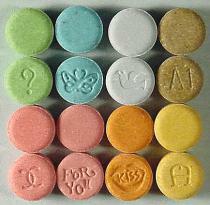 Also known as: Ecstasy, Molly, Adam, E's, Pills, Eccies, Bickies, Pingers, Beans, Clarity, Hug, Love drug, Lover's speed, and XTC. This programme looks at the effects of drugs, ways people can minimise harm if using party drugs, and places where people can access further information. SOURCE: ClickView (2005) Rated PG, Duration 23:32 mins.